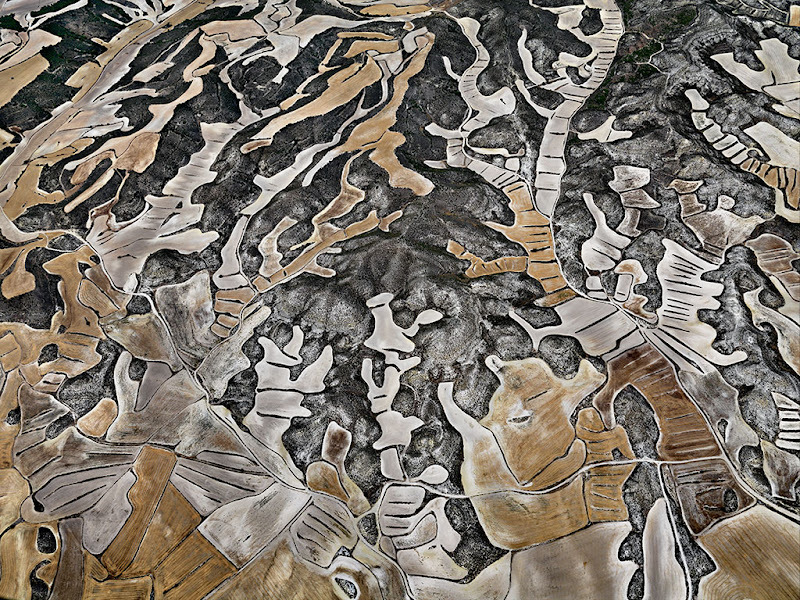 Series, by Canadian photographer Edward Burtynsky, examining the impact of long-term dryland farming in Monegros, Spain. 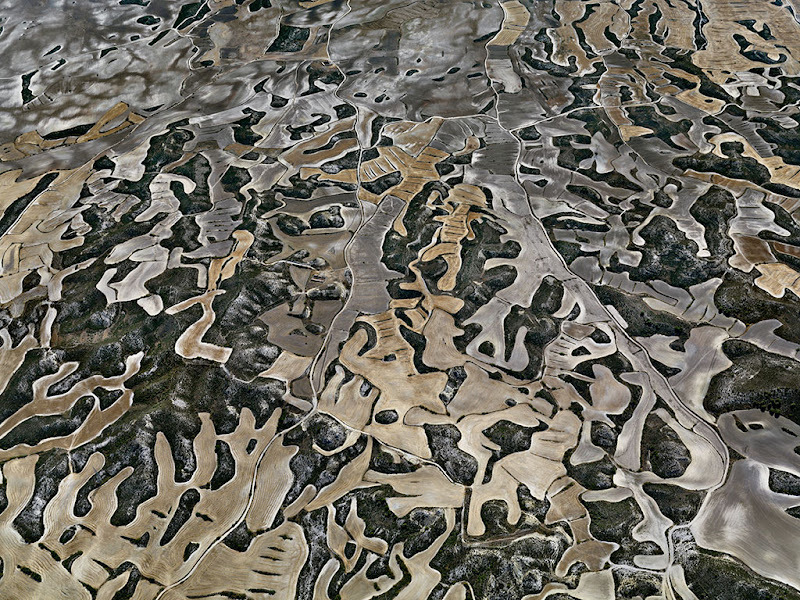 "In 2010 Burtynsky photographed farm areas in Spain including Monegros, a hilly, semi-desert area with extreme climatic conditions. He was drawn to Monegros by the complex and organic expansion of the farming areas that were created by successive divisions of land through family farming. 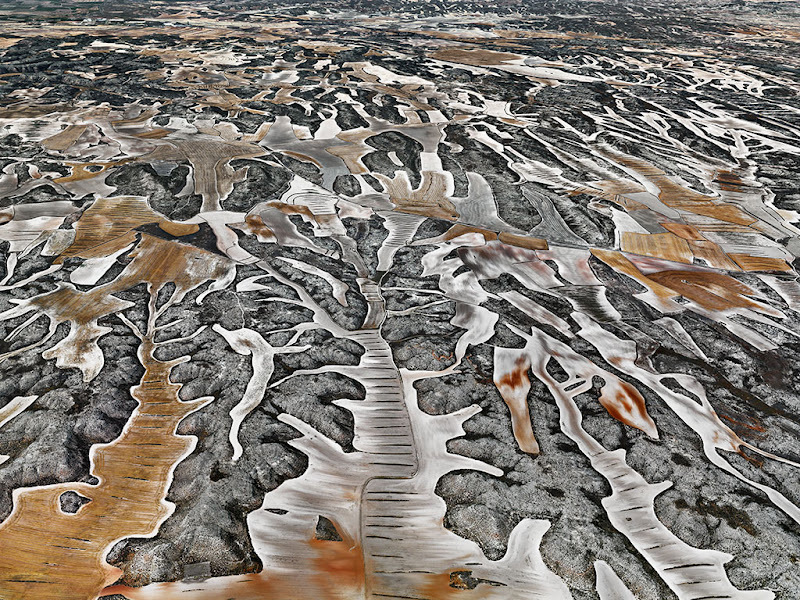 Burtynsky was fascinated by the visual formations and level of abstraction of Monegros as seen from above and the resulting photographs are his most abstract and painterly work to date. 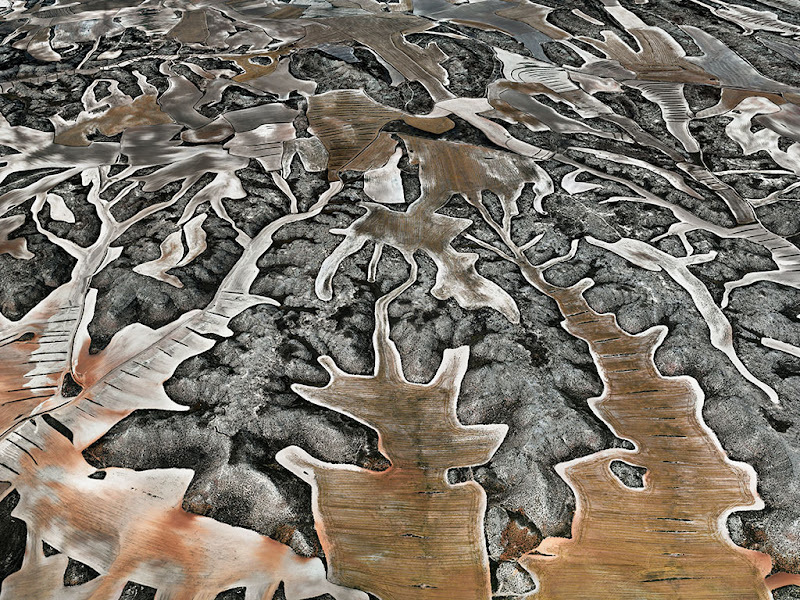 The writhing lines and bold patches of colour and texture suggest microscopic organisms as well as the cosmic landscape. The rhythmic patterns and semi-figurative shapes resemble paintings by Kandinsky, Picasso, Miró and Dubuffet as well as primitive art and cave paintings."